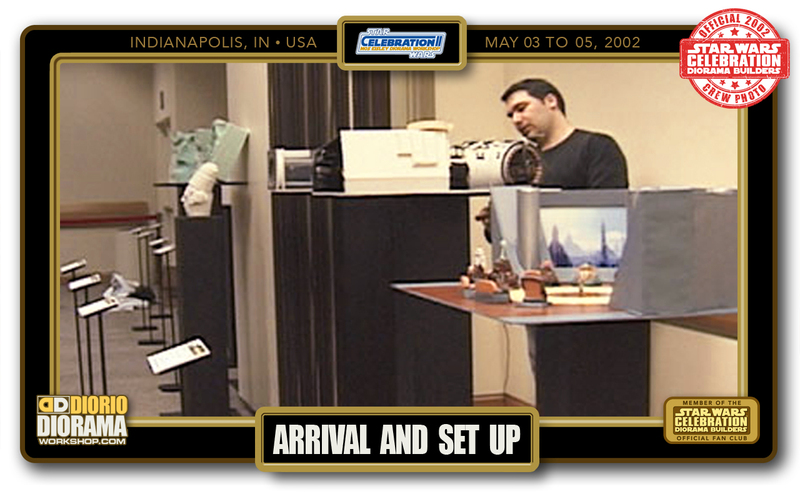 Indianapolis, IN, USA from May 03 to 05 2002. 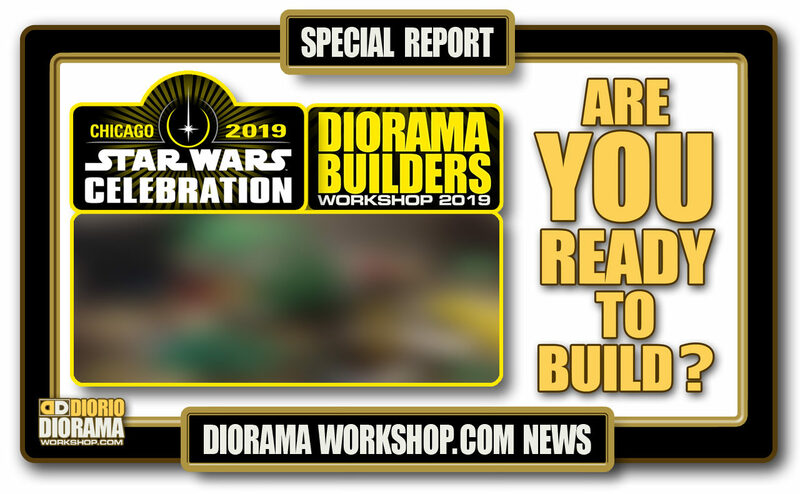 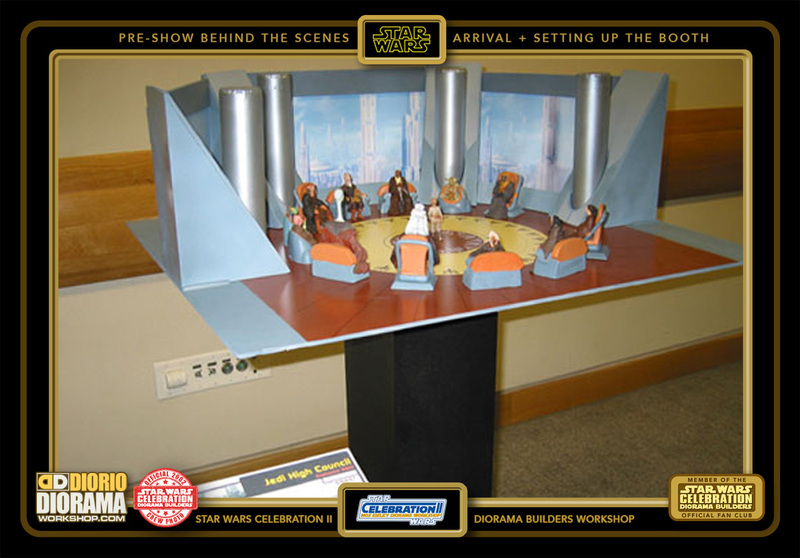 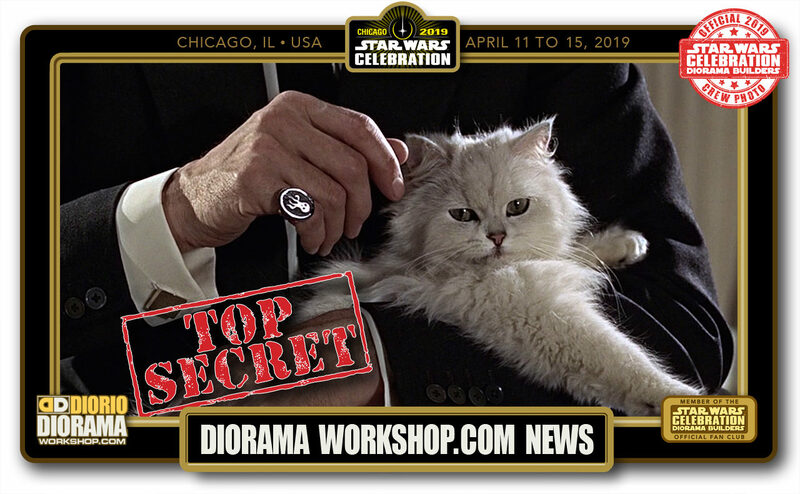 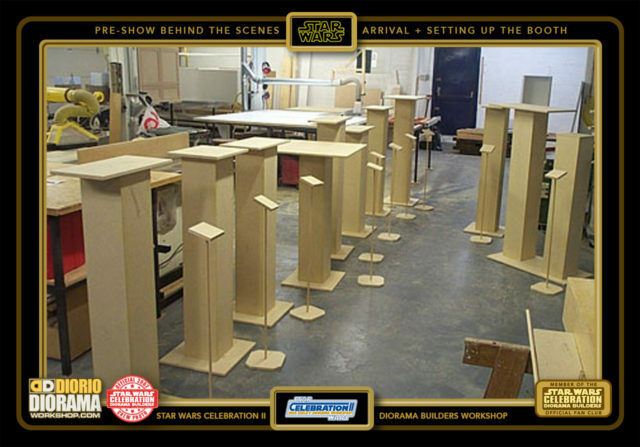 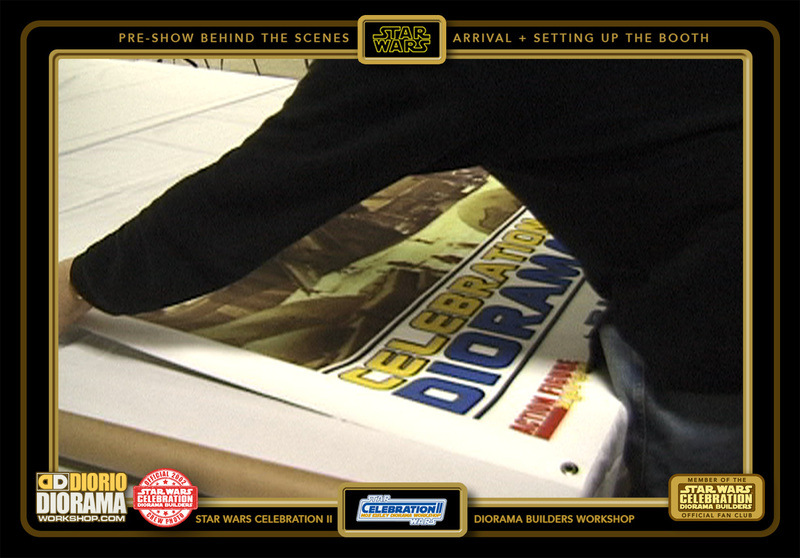 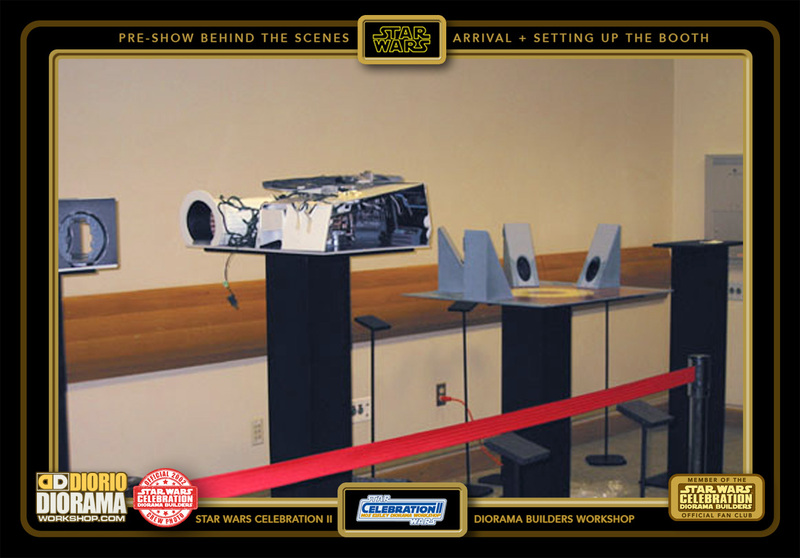 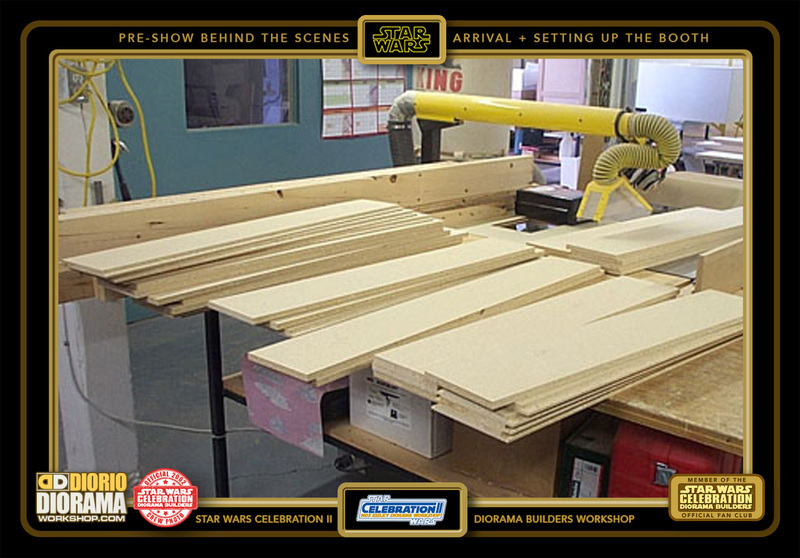 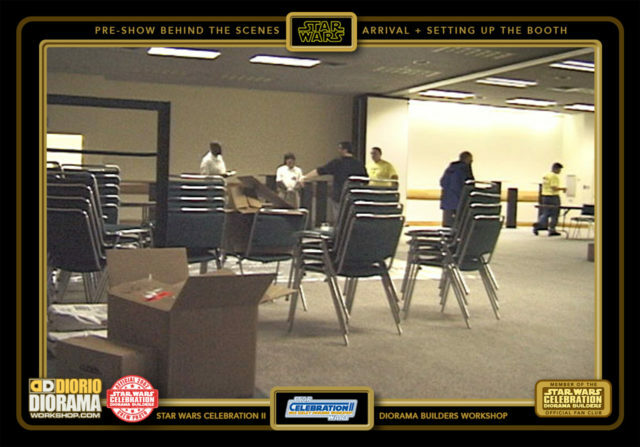 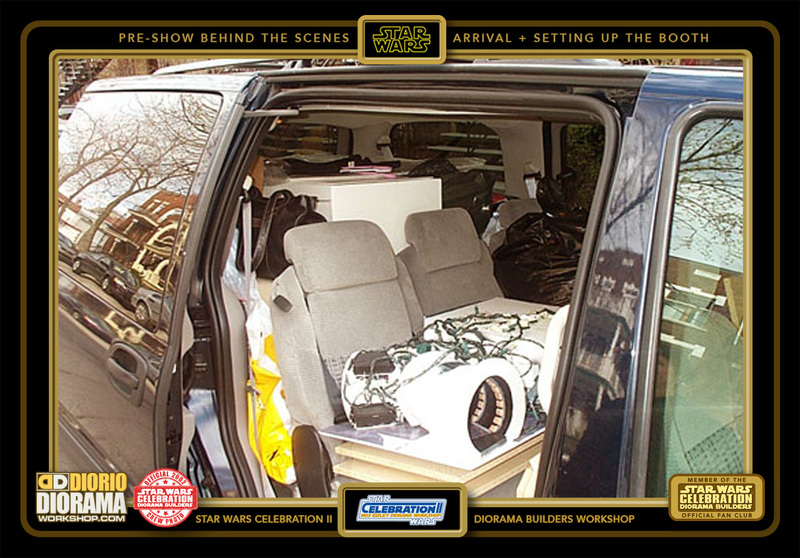 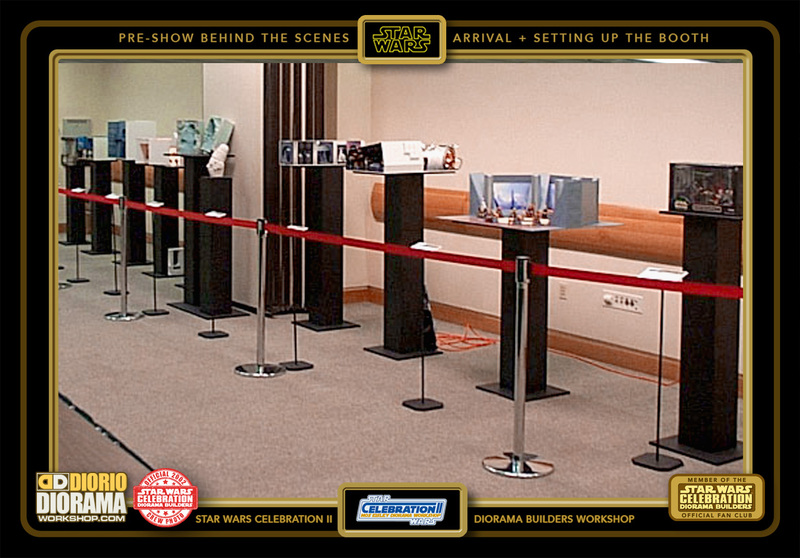 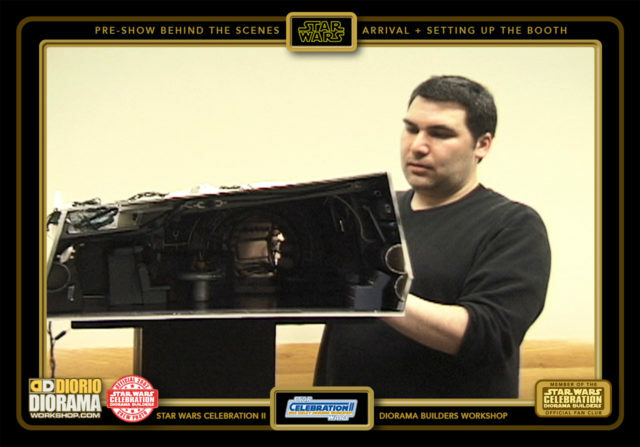 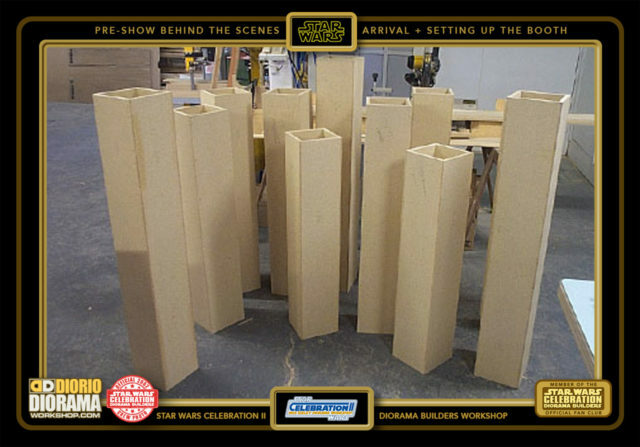 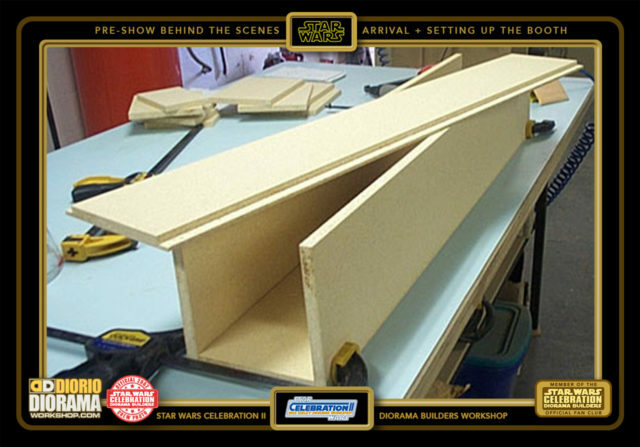 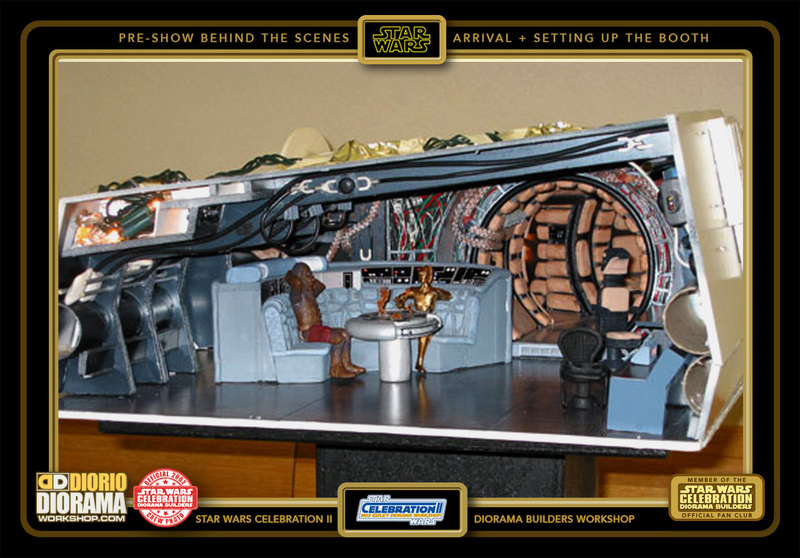 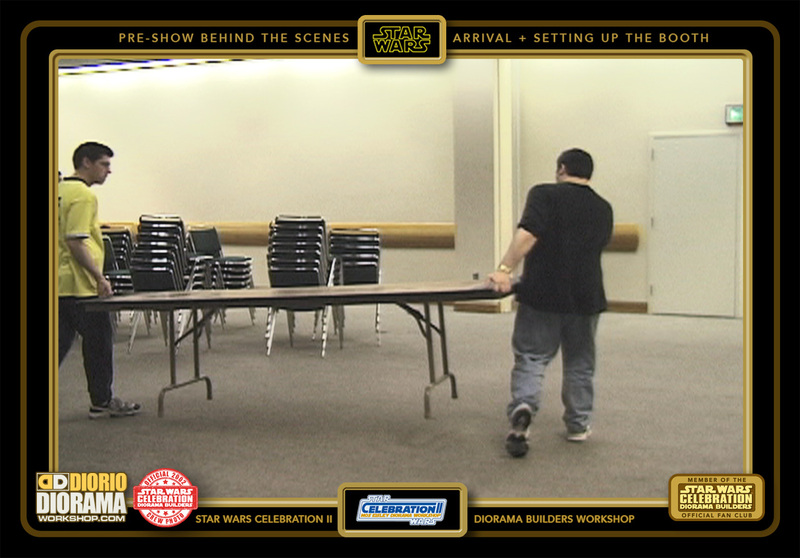 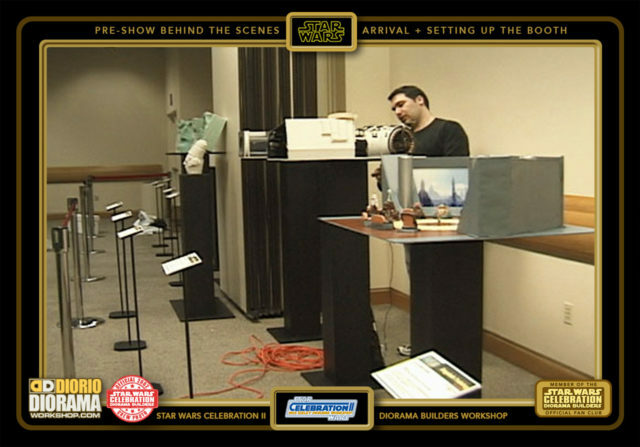 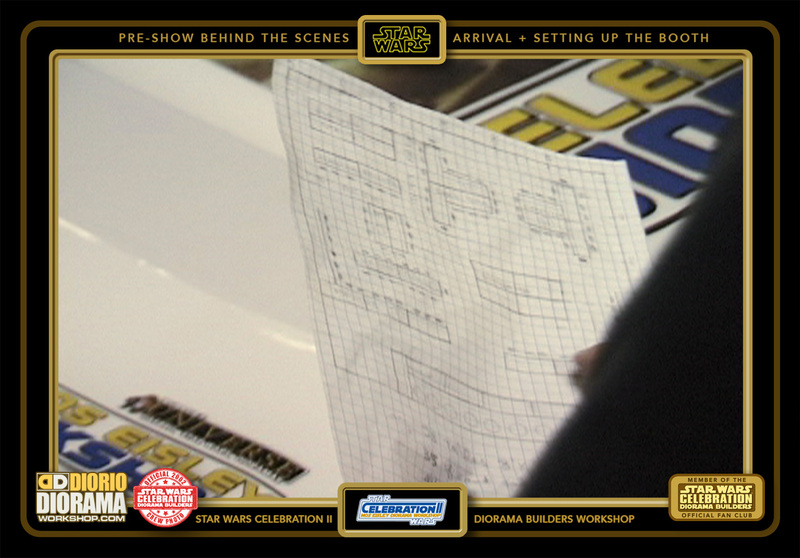 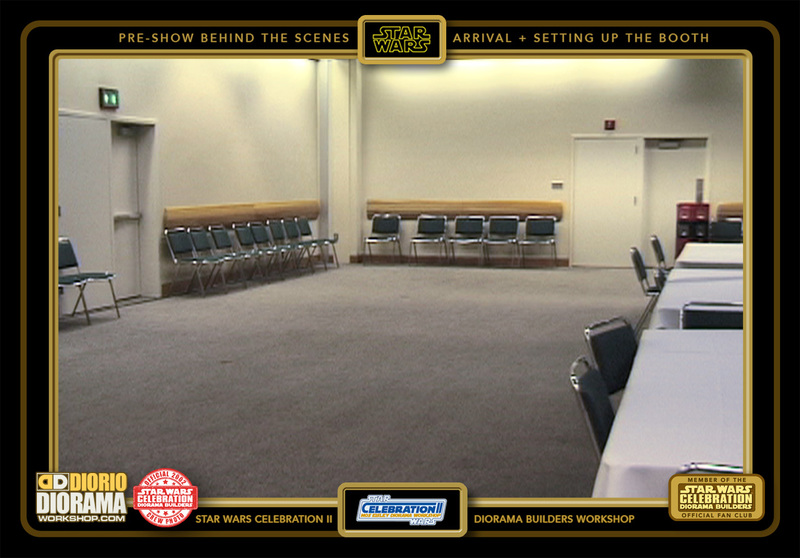 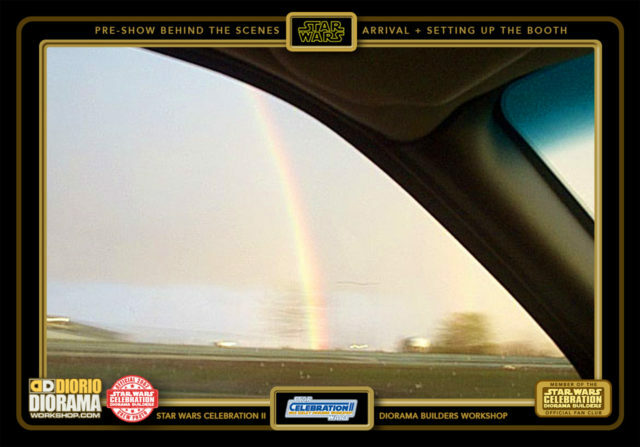 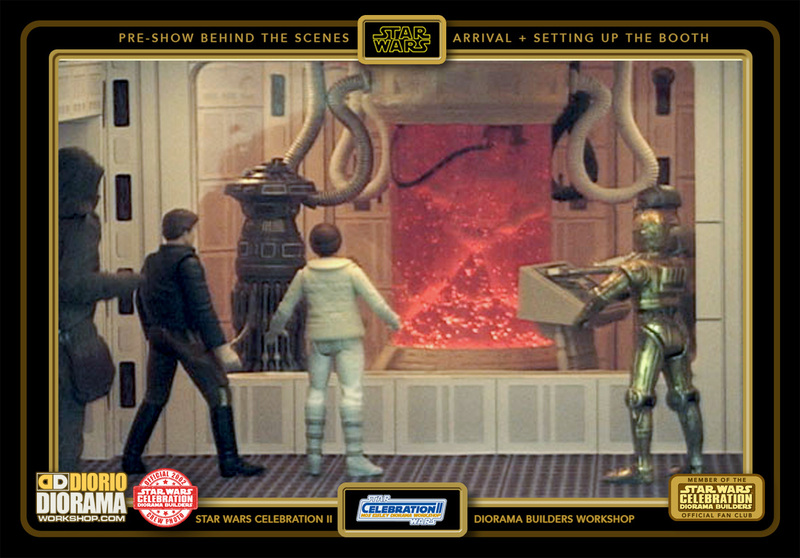 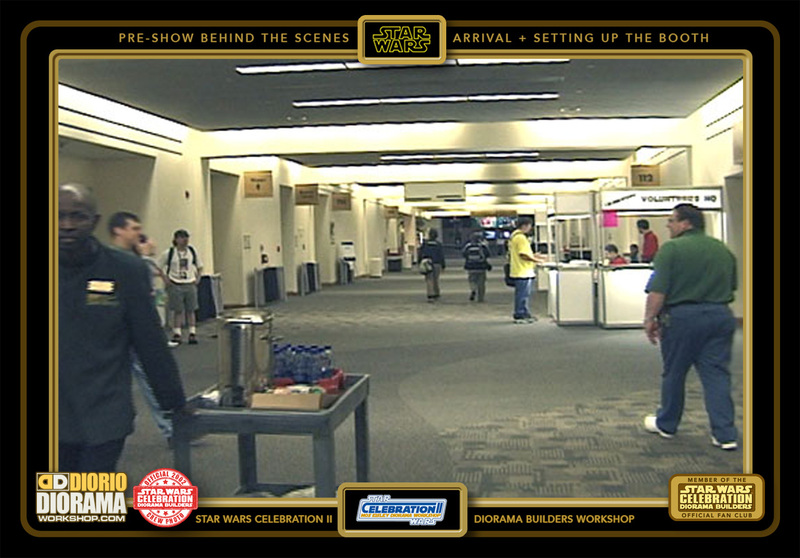 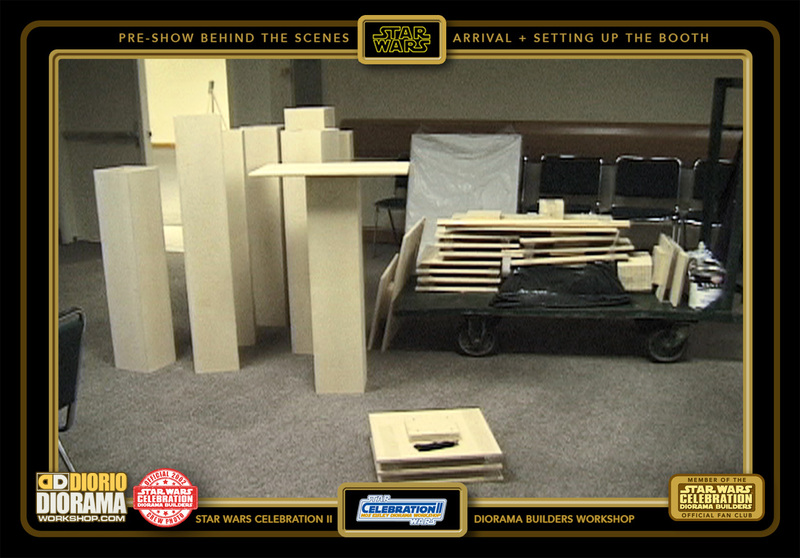 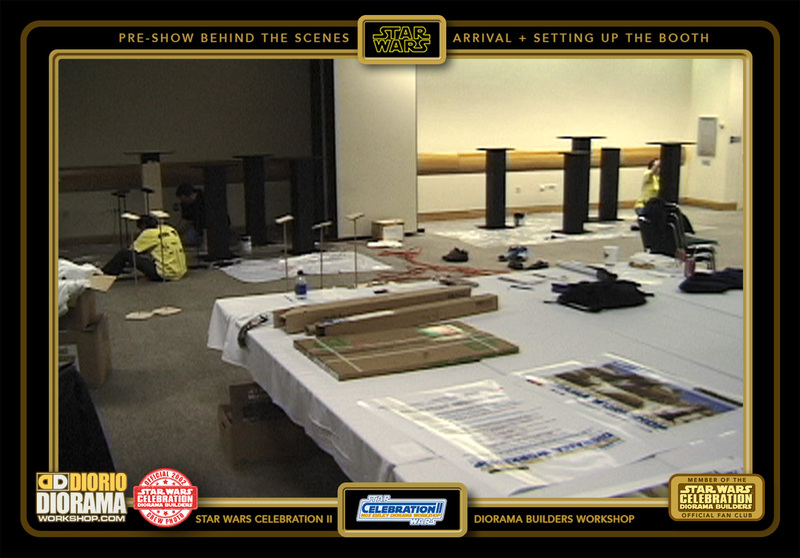 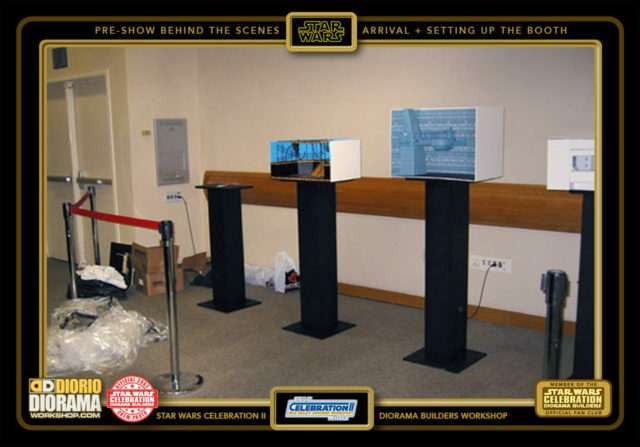 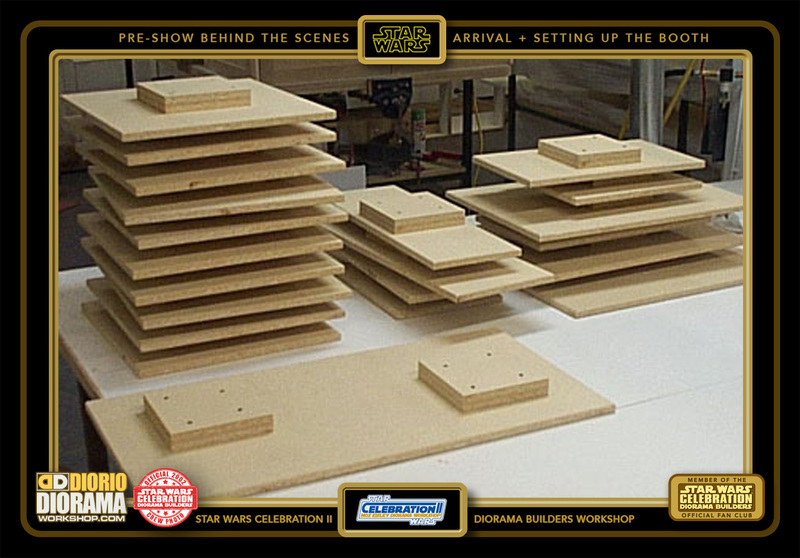 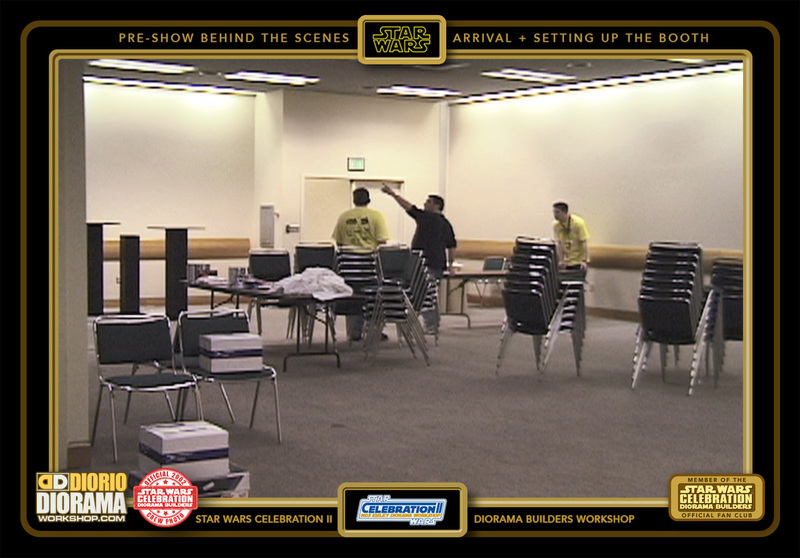 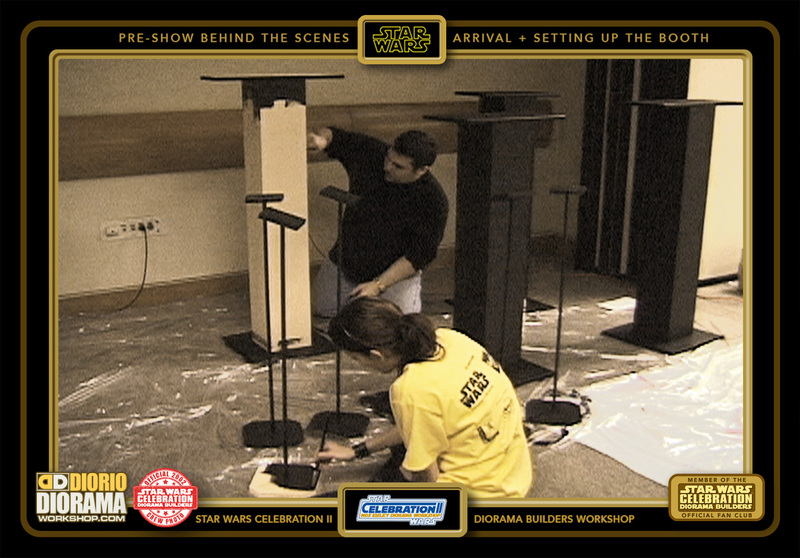 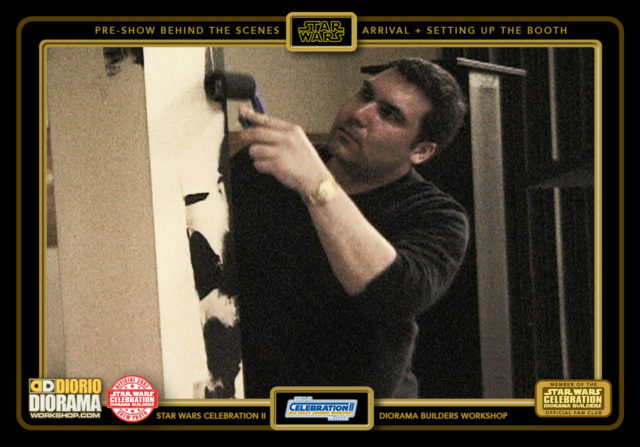 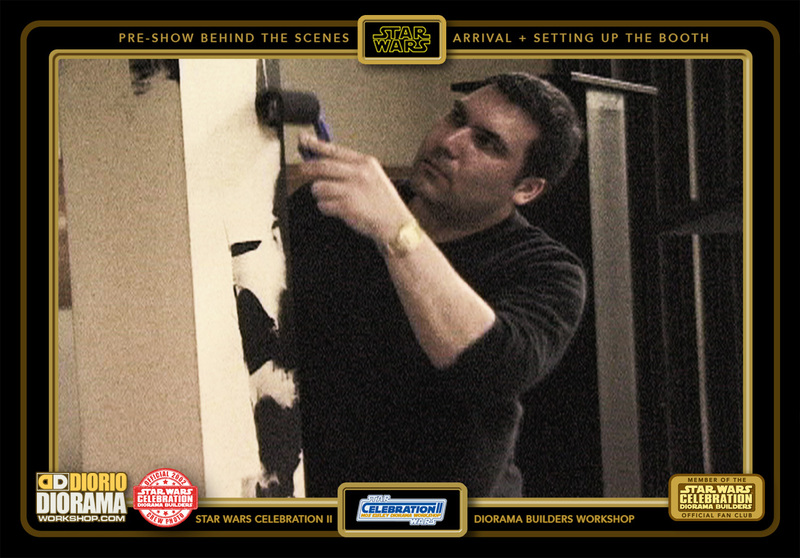 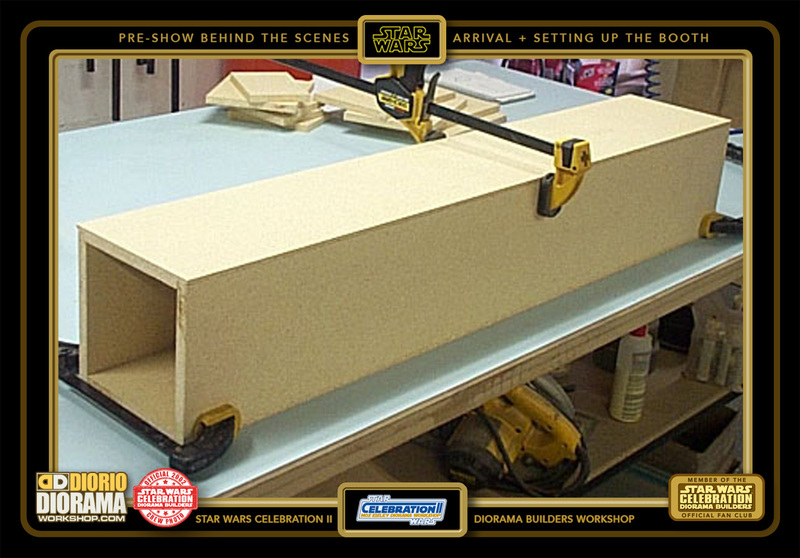 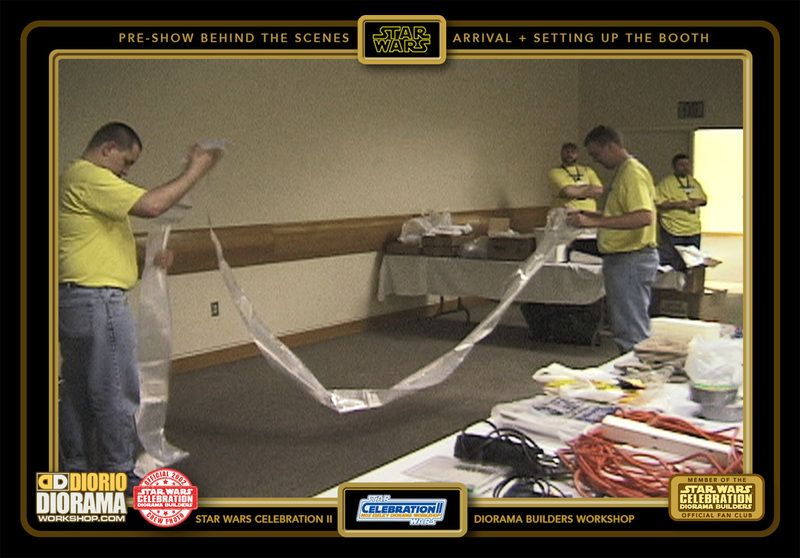 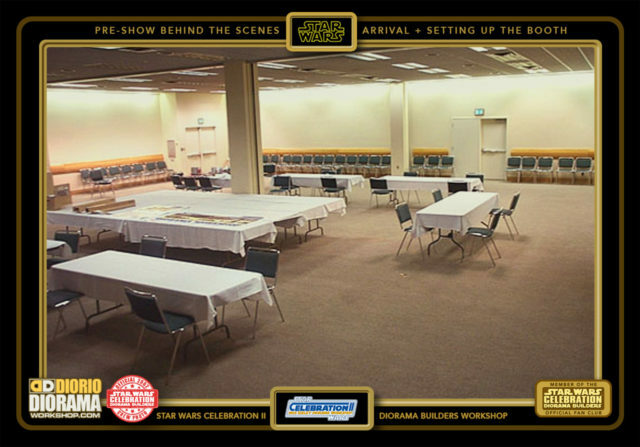 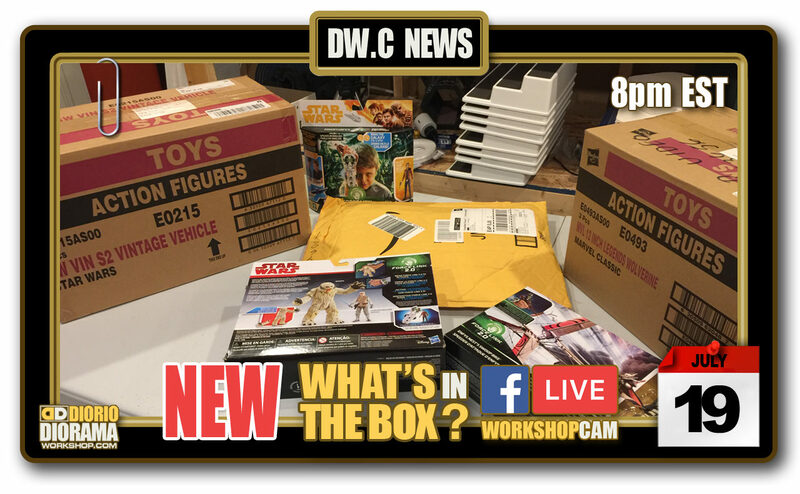 Welcome to the OFFICIAL Star Wars Celebration II Mos Eisley Diorama Builders workshop site featuring my EXCLUSIVE CREW COVERAGE not seen anywhere else on the web. 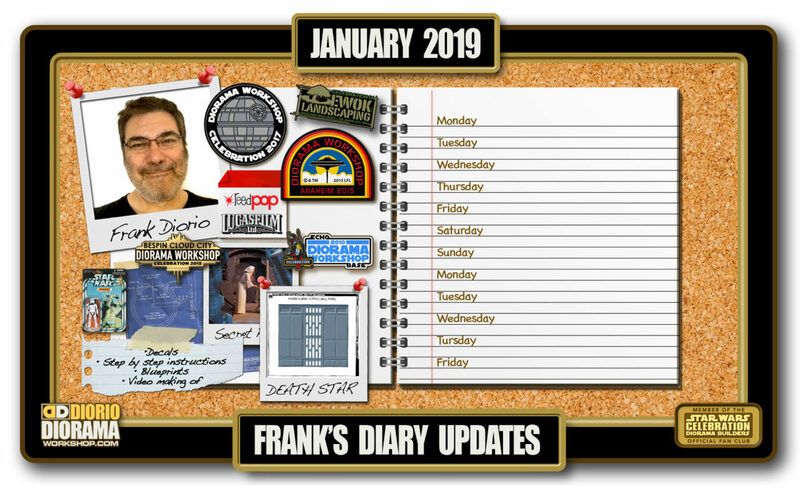 FRANK: This was the FIRST and because of all of you guys, not the last. I never imagined that it would go on for so many years and that I would make such dear friends I now call family. 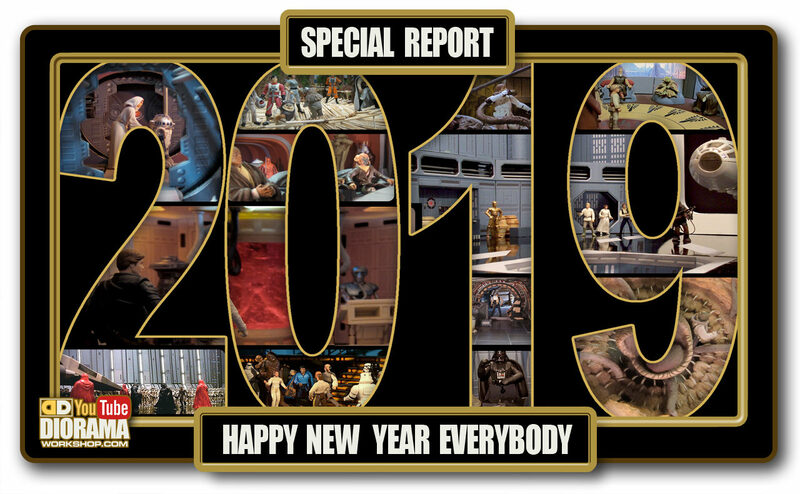 SO many stories, where to start LOL For sure I could not have done this without my dearest of friends Lucie, who I have known since University. 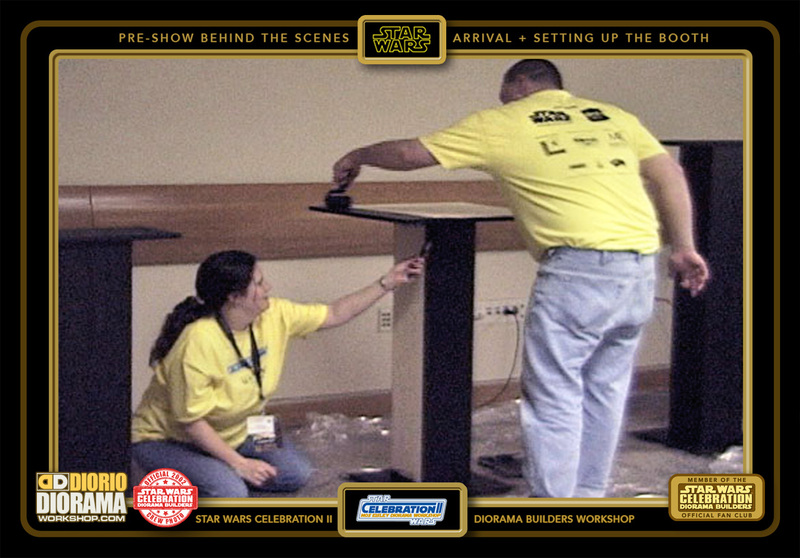 She was my co-pilot and videographer and just awesome. One lady asked if we were married, I said no, she said she thought for sure because of all the bickering and shouting we were doing at each other LOL. 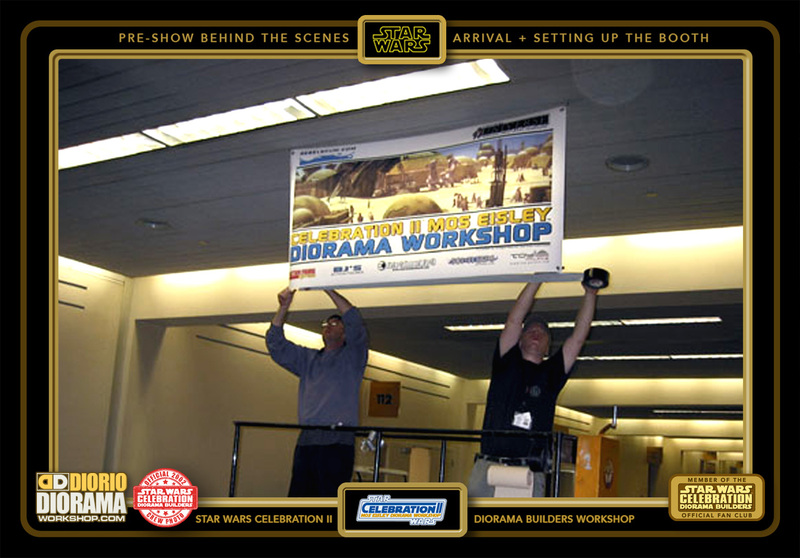 This is also the convention that I met Jamie Follis, AKA SILLOF on the custom circuit, and my Diorama Number One, he has been by my side helping EVERY SINGLE Diorama Builders since this very first adventure. 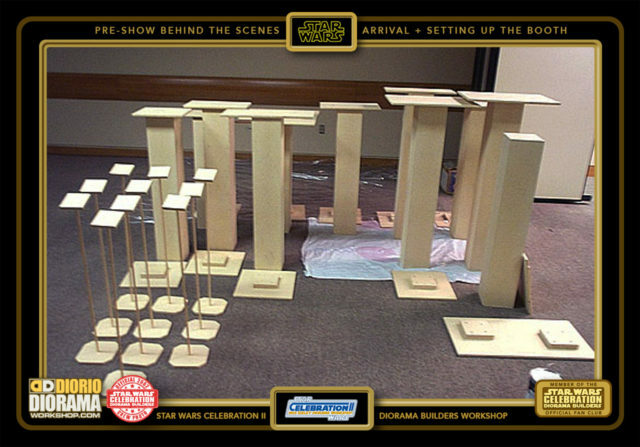 Star Wars fans are THE BEST. 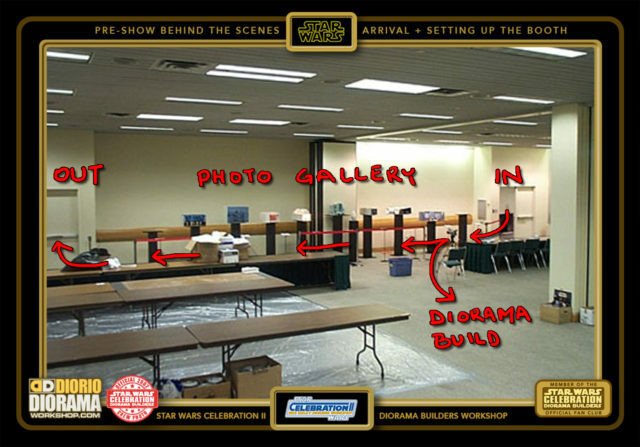 So much so that our test run if you will, was so popular, that we ran out of art supplies the morning of day 2. 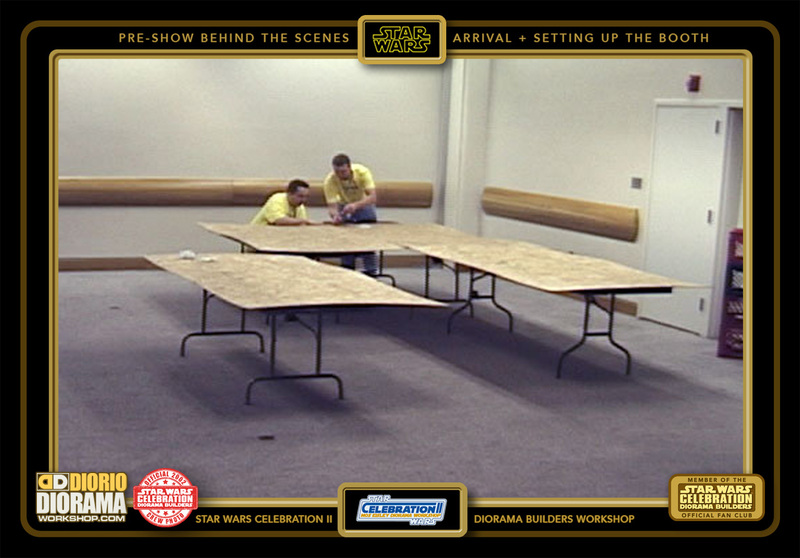 We were the little room that no one knew was there, but once discovered, kept the fans inside building.